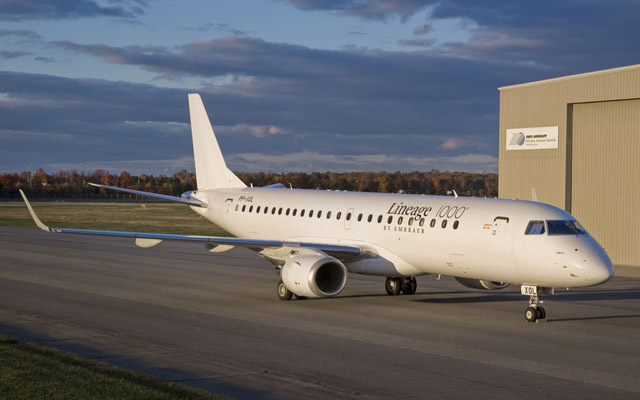 The Lineage 1000 comfortably seats 19 passengers and is a successful modification of the Embraer 190 airlne jet. 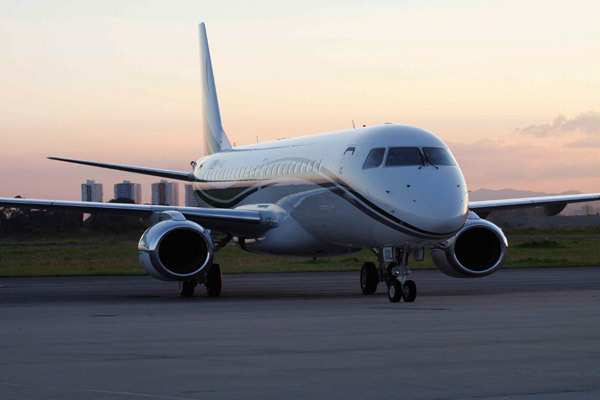 From the house of the Embraer group, the business jet is powered with added fuel tanks that double the plane’s capacity. 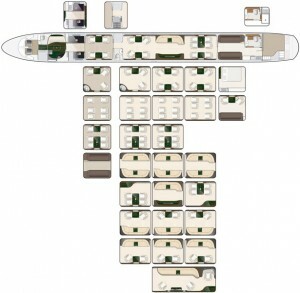 The lavish jet has 5 sections with a walk in cargo hold and optional bedroom. 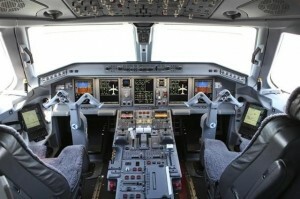 The engine is a power heavy General Electric CF34 engines that force 82.3 kN each. The Lineage 1000 also has larger section than other jets of its class like the Gulfstream V and the Bombardier Global Express. 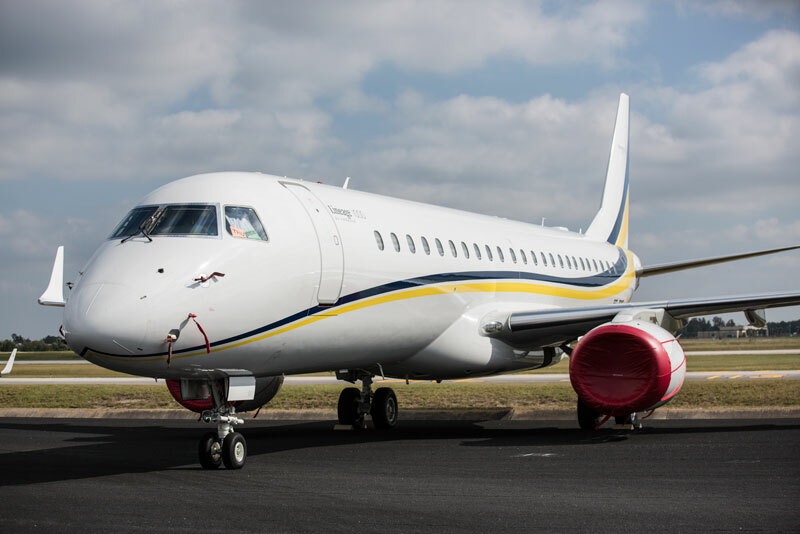 The luxurious airline can fly like a home away from home and with world class extravagant interiors it can match up with any business cruise liners. 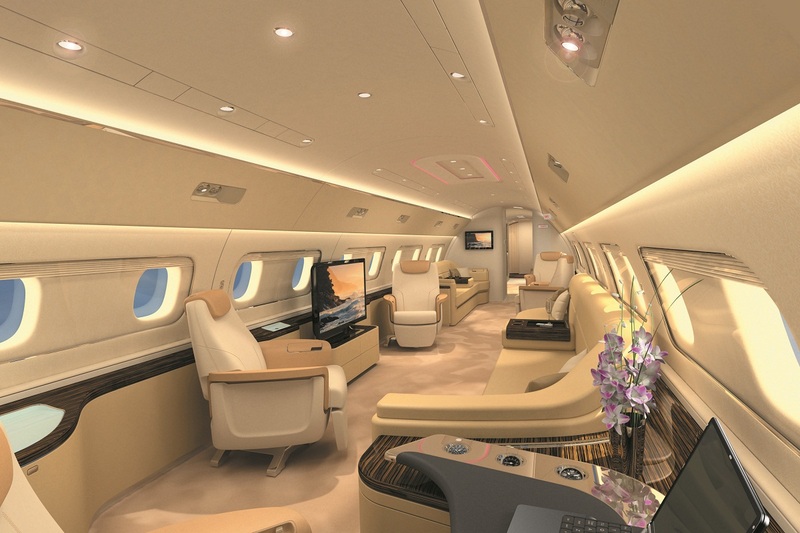 The luxury airliner is ideal for corporate business dealings across the world. Perfected with finest of latest technologies, the large Lineage 1000 works wonders for long journeys. The new specified upgraded model has facilities of high definition music and television with accessible rear end cargo shaft. 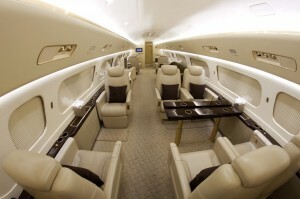 The 5 sections of the aircraft are perfect for hosting a small party on air with the near and dear once. The lavish toilets and master bedroom with optional shower is quite enchanting and relaxing during long travels. The Lineage 1000 fleet is still under great demand and holds high ranks in luxury business jets. 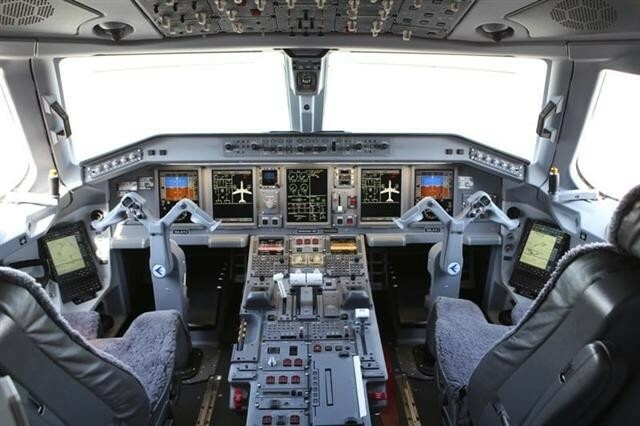 In addition, the advent of modern aerodynamics has made it possible for the Lineage 1000 fleet with inbuilt iPad and local touch controls along with Honeywell Oviation. 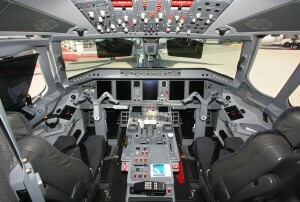 The passengers are also given a chance to experience JetMap which is a high resolution 3-D map on the go. 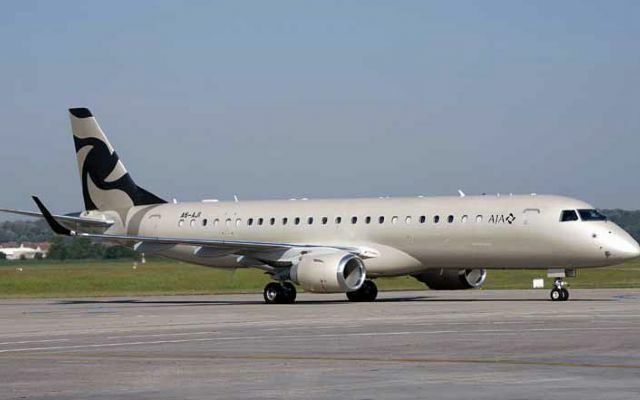 The Embraer Lineage 1000 jet received its authorization from ANAC Brazil and from EASA in the year 2008. 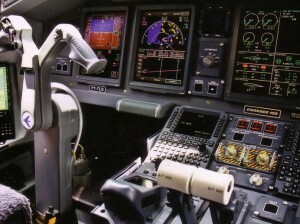 It was later followed by the Federal Aviation Administration approving it in January 2009. 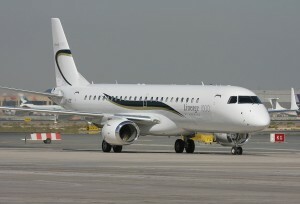 The first Lineage 1000 model was sent to HE Aamer Abdul Jalil Al Fahim on May 2009. 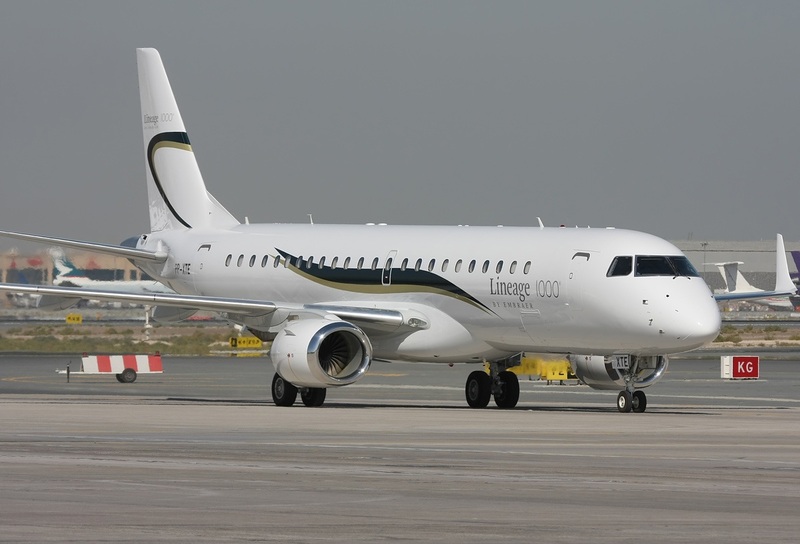 The Lineage 1000 has attained great status in the subsequent Middle East as many regional flight operators have placed demands for it. Apart from this, the Grupo Omnilife de Mexico has received their successful order in 2014. Falcon Aviation Services have also ordered the services of the Lineage 1000 in 2014. Priced at $49.25 million as of 2009, India based Airone Aviation Pvt Ltd has also taken usage of this jet. 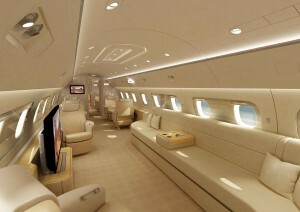 The luxury jet is of prime value for the rich business class. 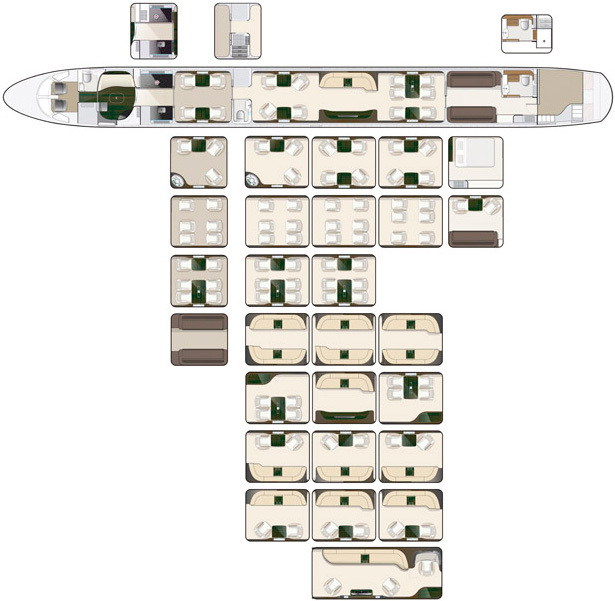 With more and more operators having its possession, the Lineage 1000 has carved its own status in this genre. The high in-class transit and work experience is an added feature of this executive jet. The large carrier has received optimal pride is very less time.